the meeting. You must be current in your dues to vote. The 2011-12 NAHJ-DC chapter board takes office August 1. View Biography and Candidates’ Message are below. in the 2011 election of the NAHJ DC Chapter Board of Directors. It has been a great honor to serve as your chapter president over the past year but our work is not done. We still need to provide more training and networking opportunities to help members find jobs and move up the career ladder. resume workshop. Now let’s keep up the momentum. Brandon is a content producer at NBC 4/WRC-TV, the #1 station in Washington, D.C. The Emmy-Award-Winning producer joined News 4 in March 2010. He returned to the nation’s capitol where he completed his MA in Journalism and Public Affairs at American University. Brandon joined NAHJ as a student member in 2004. He co-chaired the Gay, Lesbian, Bisexual and Transgender Caucus for more than two years before elected to the Board of Directors as the Region 6 Representative. Brandon was elected General-At-Large Officer at the UNITY convention in 2008. He completed his two year term in July 2010. A little over a year ago, I was the exact kind of person NAHJ tries to reach out to: I had always had a love for journalism, but like many other people from minority communities, I just did not feel encouraged to pursue it as a career. My initial pessimism about my prospects as a journalist may have been impacted by my experience growing up in the Middle East during a time when women barely had any media presence. Needless to say, my experience studying abroad in Chile last year was one that reignited my passion for journalism, particularly international reporting. It has been only six months since I’ve been back to the US, and this shift could not have been smoother, mostly thanks to NAHJ. I have only been a member of NAHJ for about four months, and all the people I have met, advice I have received, and workshops I have attended made me feel like I am no longer nervous about pursuing a career in a field that I love and respect. This association has kept me excited about being a reporter and is the best support group I could have hoped to ask for as I start my career as a journalist. I am sure there are many other people in Washington D.C. that may have felt the way I did a little over a year ago. 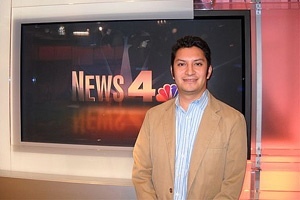 With your vote for my election as vice-president of NAHJ DC, I hope to reach out to those that have felt too discouraged to become journalists, and expose them to the many great opportunities that one of the busiest media scenes in the country has to offer. I also hope to keep those already in the field excited about the work they do and address the concerns they may have about the skills needed to adapt to the evolving nature of media today. Finally, as a fresh college graduate, I have many ties to students in the DC-Maryland-Virginia area and believe I can be a strong bridge between NAHJ DC and student campuses. 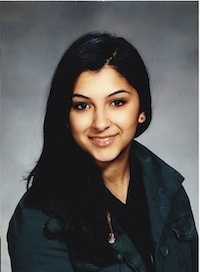 I am a D.C. native of Saudi Arabian and Puerto Rican descent. As a journalist, I am interested in both international and minority reporting. This interest has been nurtured by my mixed racial background as well as my experience living in five different countries: the United States, Saudi Arabia, the United Arab Emirates, Spain and Chile. As a result, I am fluent in both Arabic and Spanish. I have just graduated from the George Washington University where I majored in International Affairs and minored in Journalism. While living in Chile last year, I had the opportunity to use social media, on behalf of a local non-profit group, in order to inform Chileans about the injustices many poor Peruvian and Bolivian immigrants face in Santiago. Last April, I also helped two reporters from WJLA ABC7 produce news packages about issues facing high school students in an urban high school in Washington D.C.
At GWU, I helped produce packages for the university channel, GWTV. I have done journalistic work with the St. Petersburg Times’ Politifact.com, the Pulitzer Center on Crisis Reporting, WJLA ABC7 and Hispanic Link. I am currently an intern at AlJazeera English. I am also freelancing for Illume, an award winning online magazine covering issues that affect Muslim communities. I’m running for treasurer of NAHJ because I want to be part of a strong local chapter. I believe strong local chapters can help the national organization, especially now as it struggles financially. Activities sponsored by local chapters can serve as an entry for potential members and can serve as a direct link for existing members. Local chapters can provide further training for journalists and opportunities for members to meet and mingle, beyond the annual convention. and the crumbling economy and its impact on cities and residents nationwide. I graduated from New York University with a degree in journalism and Latin American Studies. I was born in Washington Heights to Dominican immigrants and raised in the Bronx.I live in Washington with my husband. I’m interested in a position with the board because I’m committed to journalism and want to do my part in ensuring Latinos have a presence in newsrooms so they can continue to give our community a voice. The local NAHJ chapter has the potential to be strong and help the national organization accomplish its mission. I want to help make the DC chapter an active one with workshops, events and opportunities that will benefit members professionally as well as contribute to the overall mission of our organization. Some ideas: introductory workshop on digital tools for journalists (English and Spanish), panel on covering the 2012 election, joint networking event with Online News Association. Thank you for your consideration. Rosalba Ruíz is a bilingual multimedia journalist. Her experience includes writing for daily, weekly and online publications covering local, national and international news. She has been a writer for The Orange County Register in California, a multimedia producer at Voice of America and a multimedia storytelling instructor for the International Center for Journalists. Rosalba currently works as a freelance producer for Reuters Television and covers the D.C. area Latino community for AOL Latino. I am running for an At-Large position because I would like to work and develop multimedia training with NAHJ. I studied reporting at Northwestern and was a reporter for a couple of years before I decided to learn video and work on the Web. I taught myself how to shoot video while I was a reporter at The Roanoke Times and have served as a trainer in the past three newsrooms where I have worked. I’ve spent time with photographers and reporters giving them instruction on shooting video and thinking about multimedia approaches to stories. I have served as a coach for the National Press Photographers Association at its multimedia immersion workshop for the past three years where I had students from places such as The Washington Post, National Geographic and reporters who haven’t shot video before. Locally, I’ve been a mentor with the with the Women’s Photojournalists of Washington mentorship group where we have worked on editing video, storytelling and have produced video that has run on The Washington Post website. My parents dropped out of school in Mexico because they needed to work, and, made sure I never stopped learning because they didn’t have the opportunity. Because of this, I have made it a goal of mine to work on training and figuring out new ways of storytelling with my profession. I am committed to training and education in my career path as a journalist and believe my experience in doing that with various news organizations and journalism institutions will be beneficial to NAHJ as an At-Large member. Evelio Contreras picked up his first video camera on the morning of the Virginia Tech shootings and committed himself to telling stories through video ever since. He is a video journalist at The Washington Post where he shoots and produces original video series and documentary stories for the newspaper and website. 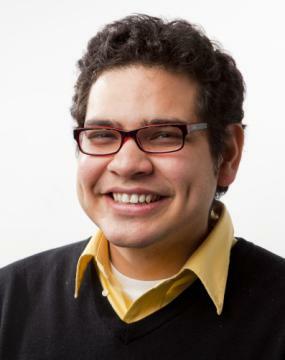 Born on the border of Texas and Mexico, Contreras studied journalism and philosophy at Northwestern University where he learned about his interest in telling stories about ordinary people and quirky stories. 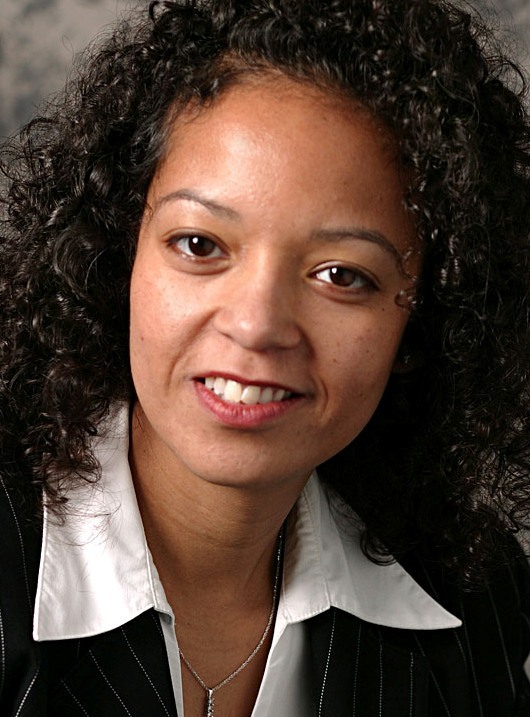 Before coming to the Post, Contreras worked as a reporter and video producer at The Roanoke Times and Las Vegas Sun. His work has been recognized by the National Press Photographers Association Best of Photojournalism and the Society for News Design.